Only 8 3.0t LUXE AWD models left in stock! Pricing may include current promotions. Monthly payment calculator is an estimate and does not include tax, title, license or doc fees. Dealer doc fee $179.50. Please contact the Dealership for latest pricing and monthly payment. Published price subject to change without notice to correct errors or omissions or in the event of inventory fluctuations. Price good for 2 days only, please contact store by email or phone for details. While every effort has been made to ensure display of accurate data, the vehicle listings within this web site may not reflect all accurate vehicle items. Accessories and color may vary. All Inventory listed is subject to prior sale. The vehicle photo displayed may be an example only. Vehicle Photos may not match exact vehicle. Please confirm vehicle price with Dealership. See Dealership for details. It’s our goal to exceed your expectations from test drive to delivery and beyond. 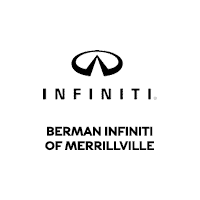 Reputation matters, and our 30 year legacy of customer satisfaction as a part of Berman Auto Group shows in our customer reviews across platforms such as Google, Facebook, & DealerRater, where we rated 2018 Indiana INFINITI Dealer of the Year. Please feel free to check out our extensive inventory of new and used cars and SUVs. 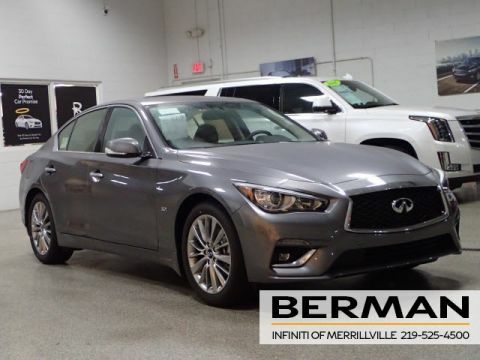 Your hunt for new, used and certified preowned INFINITI vehicles in Crown Point, Schererville, Hammond, and Valparaiso ends at Berman INFINITI of Merrillville. We’re sure you’ll find the vehicle of your choice in our stock. The experts at our in-house financing department will help choose the most suitable financing option for you. 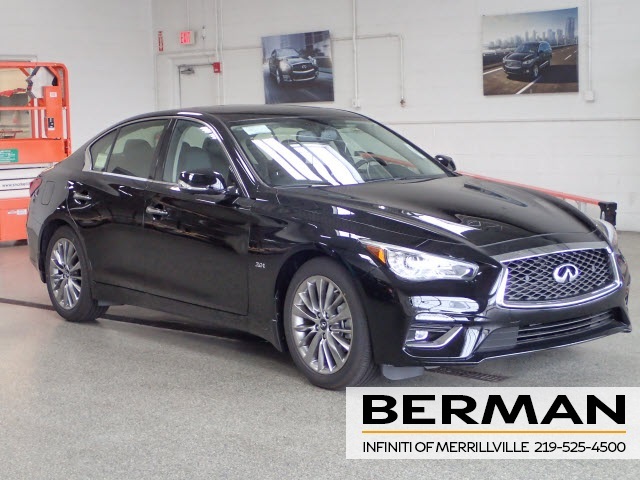 At our Northwest Indiana INFINITI dealership, we strive hard to ensure that your purchasing experience is as smooth and hassle-free as possible. So what are you waiting for? Contact us at 219-964-4126 of visit us at 1794 W 81st Ave in Merrillville, IN. 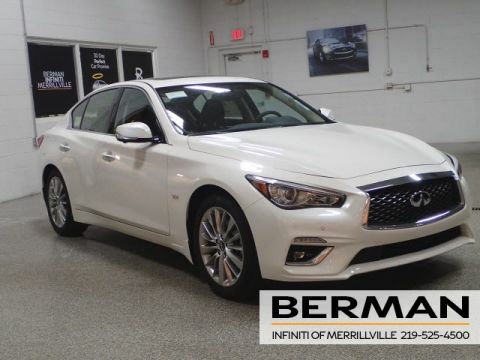 **Lease payments calculated based off of a 39 month lease with 10,000 miles per year, 2019 Q50 52% of MSRP, 2019 QX60 55% of MSRP, 2019 QX50 55% of MSRP, 2019 QX30 44% of the MSRP is down payment. No security deposit required, with approved credit. Extra charges may apply at lease termination. 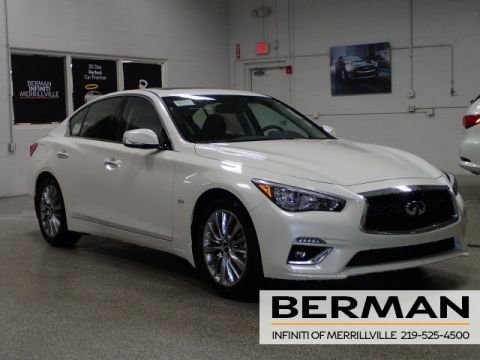 Plus first month’s payment, $700.00 bank fee, $0 electronic title, tax, $179.50 dealer documentation fee and state fees with approved credit through INFINITI Financial Services. See dealer for complete details. Expires at month end.